Hidden inside computers, even old ones, is a treasure trove of valuable and useful materials that can be transformed and made new. The precious metals inside of a computer are particularly important since recycling them helps reduce the amount of mining and extraction needed to supply makers with these metals. Watch this video to learn more about computer recycling and why you should never throw old computers away. If you run a business, it’s especially important that you dispose of computers and other sensitive IT equipment as carefully as possible. For peace of mind that your data (and your customer’s data) is secure, trust your computers and sensitive IT assets with a reliable and experienced electronics recycling company in Atlanta . 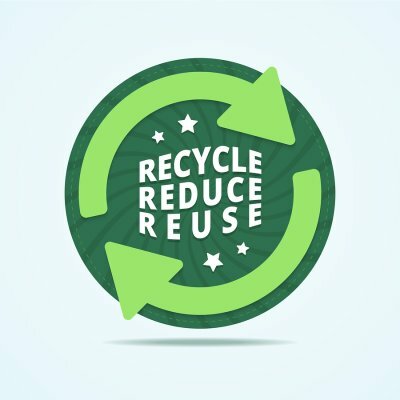 Whether you’re updating your entire IT infrastructure or need to dispose of a single laptop or desktop computer, a comprehensive electronics recycling provider will make sure things are recycling correctly. Landfills aren’t sustainable, and anything we can do to reduce the amount of waste that ends up there is good news for the environment. That’s why fashion retail giant H&M is encouraging people to recycle old clothes instead of throwing them away. There are no rules in fashion, and an old pair of jeans or loose-fitting t-shirt can quickly be transformed and worn stylishly by anyone—but not if they end up a landfill. Watch this cool short from H&M to learn more about their mission to “close the loop” and address the issue of waste. Want to come up with an innovative recycling plan for your business? Consult with an experienced waste management and recycling company in Atlanta to learn how your organization can address big waste problems and implement recycling practices that save money , reduce your carbon footprint, and shows your commitment to going green. Industrial facilities are at the heart of America’s manufacturing capabilities, but it’s also true that these sites can have a greater toll on the environment than other types of operations and practices. Fortunately, there are some significant benefits to adopting eco-friendly practices that can justify and even accelerate your facility’s commitment to going green. For example, a more profitable operation is the number one reason why industrial facilities decide to adopt more eco-friendly practices. An industrial waste management company in Atlanta can help you connect the dots and make the shift, but in the meantime here are some things you can do to benefit the environment and your bottom line at the same time. The first and most important eco-friendly practice is simply the commitment to go green at an operational and organizational level. 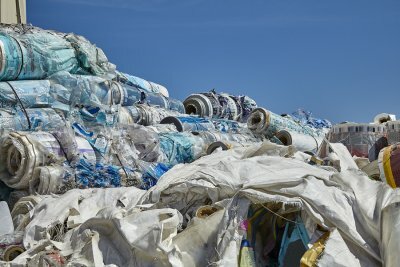 Instituting a company-wide recycling policy and educating employees and stakeholders about the importance of being eco-conscious is the first step towards real changes in your industrial site that benefit the environment. Although it’s certainly easier said than done, improving your facility’s energy efficiency is one of the best things you can do for the environment and your bottom line. If you get stakeholder buy-in and are committed to reducing your carbon footprint (and your energy costs) look for opportunities to improve energy efficiency by replacing old equipment, performing an energy audit, and other efficiency-improving practices. The Alliance to Save Energy has some tips for boosting the energy performance of your industrial facility . The “3 R’s” have been preached and practiced for decades, but it doesn’t mean you can’t benefit from reducing, reusing, and recycling. These practices can lower the amount of energy you consume as well as the amount of materials you purchase, which can save you considerable amounts. A waste management company that offers waste analytics can help you identify areas where recycling can help. Whether you rent out a few multi-family homes, run a full-sized apartment complex, or oversee a senior living facility, if there’s one thing residential communities generate besides profits its waste. If you don’t already, it’s a good idea to institute a recycling program in your communities to do something that benefits the environment, your tenants, and your bottom line. A recycling program can bring your tenants together and show them that you care about the environment. It can also help attract new tenants who are eco-conscious and want to live in an apartment or condo that has practices responsible waste management. To help get you started, here are some tips for creating a recycling program in partnership with your waste management provider in Atlanta. One of the hardest things about implementing a recycling program, and getting everyone to participate, is the uncertainty around what recyclables go in what containers. This may seem like an arbitrary point, but it’s enough to keep a lot of people from recycling. Single stream makes things easier by combining multiple materials into one container. Recyclables are sorted and processed later on, making it as easy as possible for your tenants to participate in your community recycling program. Touching on a similar point as mentioned above, one of the biggest hurdles in starting a successful recycling program is getting people to participate. That’s why you should make a point to involve and educate your tenants about the benefits of recycling and how you plan to make it easy, enjoyable, and convenient for them. Depending on the size of your residential community, you might want to consult with a recycling professional to come up with the best recycling plan for your tenants. A waste management and recycling company can help you plan, implement, and oversee a recycling program that actually works. A professional can also tell you more about single stream recycling and other options you might want to explore.